Pictures showing people interacting or doing exciting things. 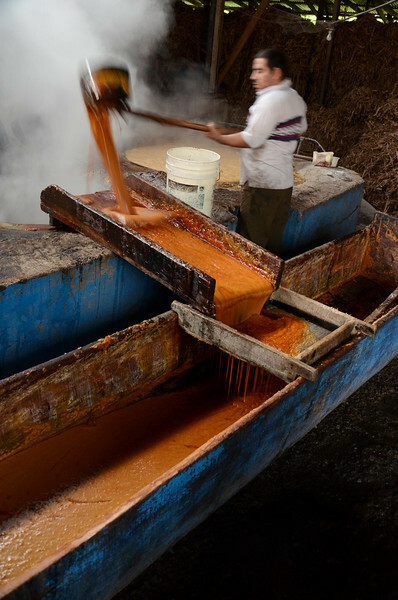 Workers at a local sugar cane factory render the sugar cane down by boiling it for hours, then scoop the boiling sugar onto a funnel that runs it through a strainer to remove any sedement. Once in the trough they stir it and pour it into moulds to set. They sell the moulds to restaurantes and candy stores. Conditions are extremely hot and the workers go from sunrise to sunset. Just enter your email address below, and voila!